Levi Golf & Country Club is closed for this season. 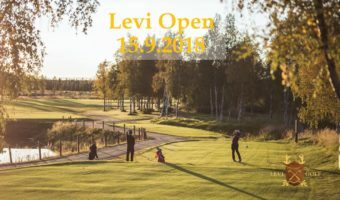 Levi Open will be played September 15th 2018. Welcome to compete in Panimo Pub & Team Sportia Open on Saturday 11.8! At the end of July we will host a Levi Golf introductory week of events, including clinics, playing and competitions for both beginners and veterans alike. The week is part of the Levi Outdoor Fest event.